You're all set! 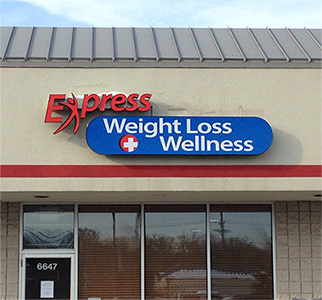 Confirm you want deals for Express Weight Loss and Wellness in -zip-? 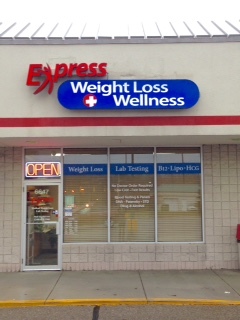 Express Weight Loss and Wellness specializes in three things: Medical Based Weight Loss, Wellness, and Lab Testing. Ask us about our new HCG diet program where our patients are losing a pound a day...every day! We offer B12 and Lipotropic Injections to give you energy and help with your weight loss goals. We are unique because we take a more comprehensive approach to weight loss than most other clinics. We do a "work-up" on every patient which includes complete blood work, an EKG, BMI, Body fat analysis, measurements and medical history. This information is critical in customizing the most successful weight loss plan. If you are a candidate for prescriptions that aid in weight loss (i.e. appetite suppressants), we can dispense them on-site and they are included in the program. Our practitioner and dietitian meet with every patient monthly to make program adjustments and to make sure our patients are staying on track. Our maintenance programs are the most successful in preventing rebounding. Our team cares about your progress every step of the way and is always here to help. Our greatest compliment is referrals and that is how we get most of our business! Stop by any time for a FREE consolation! The lab testing potion of our clinic offers over 700 individual tests including blood tests, urine tests, DNA paternity testing , STD panels, drug screens, wellness panels, allergy panels, hormone tests, PSA, thyroid, cancer screens and so much more. The tests are completely confidential, affordable, quick and No Prescriptions or Doctor's Orders are required. We are conveniently located in the Kroger plaza at the intersection of Dixie Hwy and Maybee Road. $20 OFF HCG Diet Program-LOSE A POUND A DAY!